Online retailers are finding out that the uphill battle in maximizing sales may not be getting shoppers in the door, it may be getting them to the cash register. 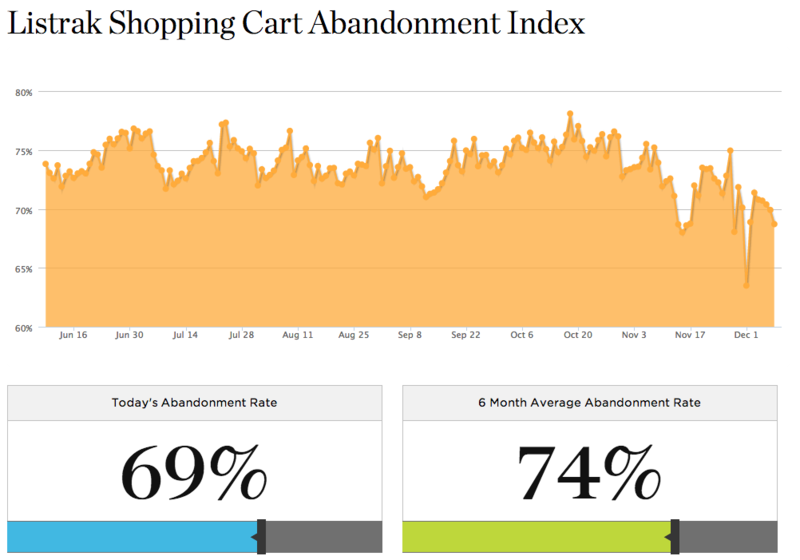 Shopping cart abandonment rates are regularly being reported to be as high as 70% or higher. Listrak, a well-known e-mail marketing firm, released an interactive chart (pictured below) showing an average abandonment rate over a six-month period. This eye-opening data screams at e-retailers to take immediate action to reduce the bleeding from their checkout process. Let’s look at a few immediate steps you can take to reduce this on your website. 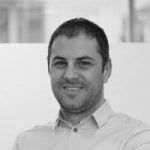 Traditional wisdom had been that using registration gave the retailer a chance to capture the users data. It turns out that this has become a top reason for users walking away from a purchase. There are definite advantages to user registration for frequent or loyal shoppers. However, for first purchasers they may view this as an intrusion. Your customer has filled their cart and is at the register to plug in their preferred payment method. Then at the last moment you hold up your hand and say wait, here’s a few more dollars it’s going to cost you to make this purchase? Nothing could be less reasonable to a person who had made up their mind based on the price they had just seen. Display all applicable charges (ie., tax, shipping, etc) up front and on the earliest available page. Are you still asking your customer for a fax number? What about even their phone number? They are buying online, paying via electronic bank debit, and getting their receipt via email…why should you require their phone number? I’ve been making purchases online for 15 years and never has a retailer called to tell me anything. Good news or bad news, they email and likely so do you. Determine why you require each bit of information in your checkout process. If you don’t use it, remove the step. There is an expectation by consumers that online retailers will fulfill their desires right up through the buying process. The customers experience must not take a backseat on your website because without leaving the comfort of their chair that customer can be shopping elsewhere. The customer is at the point of making the purchase and the last thing you want to do is make them reconsider it. Make the final step of the transaction painless by ensuring that your business is setup to offer preferred payments. In the US this is credit/debit cards, and in Europe this is EuroDebit/SEPA or local options like Giropay(Germany) & iDeal(Netherlands). Free shipping has become an expectation of consumers and a strong marketing tactic by many retailers. The good news is that the data shows that while having free shipping is important many of those same buyers say they pay the additional fee to upgrade to a faster shipping method. Also, work to ensure that your cart only displays appropriate shipping options to the user. US customers see US shipping options and international option are shown to international customers. This will eliminate confusion and reduce unnecessary choices. There are 0 comment. 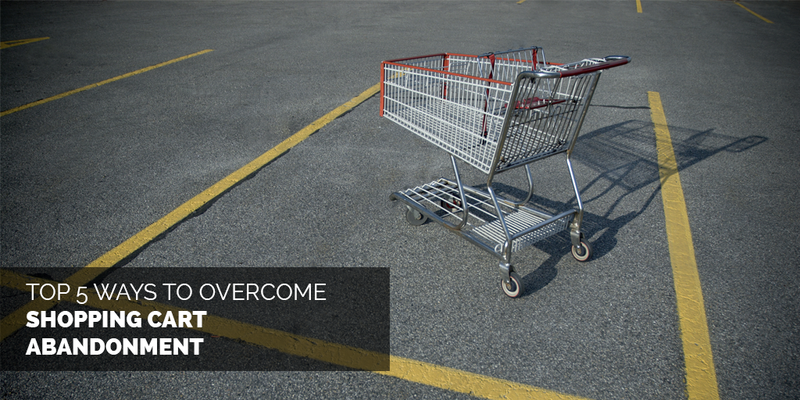 on "5 Easy Steps to Cut Shopping Cart Abandonment"